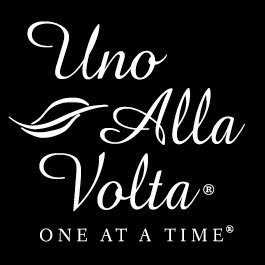 Over the past year, we have collaborated with our London jeweler, Daniel Lyons, to develop our ''Jewelry Through The Ages'' collection exclusively for Uno Alla Volta customers. Each of the designs is based on jewelry styles of late 13th century to those of the early 20th. Art Deco - Early 20th Century Beginning in 1920, the Art Deco period signaled the start of the modern era. Jewelry, like the art of the period, was designed to evoke images of technology, of the jetliner, the skyscraper and prosperity. It used bold colors, dramatic geometric designs, and continued some of the animal motifs of the Art Nouveau era which preceded it. The highly sculpted surface of this hinged bangle is plated with rhodium, a gleaming metal more precious than platinum, and accented with dazzling Swarovski crystals in emerald and white. 8 inch inner dimension.